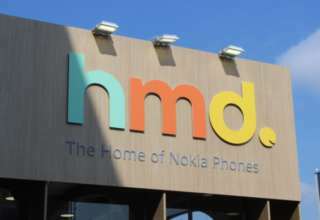 HMD Global, the custodian of Nokia smartphones was expected to unveil the global variant of the Nokia X6 that was launched in China some time ago. The device was expected to be called Nokia 6.1 Android One. 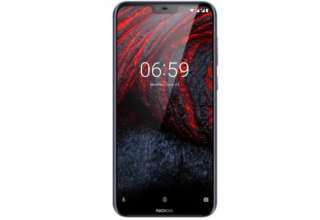 Now, finally, the company has put all speculations to rest and has launched the global variant of the Nokia X6 in Honk Kong. As it is an Android One device, Google is expected to provide an optimized Android experience with stock Android and security updates at regular intervals of time. Apart from being an Android One device, all the other specifications of the handset are similar to the Nokia X6. Regarding the availability of the Nokia 6.1 Plus, the smartphone has been launched in Hong Kong. It will be made available for purchase on July 24 in Blue and White color options. As of now, there is no information about the availability of the handset in other countries. The device is also expected to make it to India considering the popularity of Nokia smartphones in the country. 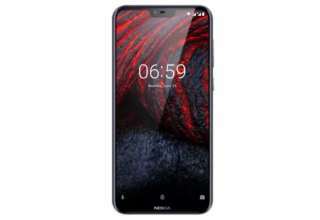 Coming to the specifications, the Nokia 6.1 Plus is the global variant of the Nokia X6 that was launched in China in May. The Nokia 6.1 Plus sports a 5.8-inch full HD+ display with 2.5D Corning Gorilla Glass protection on top. It also features a display notch and has an aspect ratio of 19:9. It is powered by an octa-core Qualcomm Snapdragon 636 SoC coupled with 4GB of RAM. On the imaging front, the device features a dual rear camera setup with a 16-megapixel primary sensor and a 5-megapixel secondary sensor accompanied by an LED flash. On the front, it features another 16-megapixel sensor for taking selfies. The smartphone also features AI capabilities for improved photography, facial recognition, and HDR support. It also has a Face Unlock and Bothie feature to let the users use both the cameras simultaneously. It comes with 64GB of inbuilt storage space that can be further upgraded with the help of a micro-SD card. Connectivity options include dual-SIM, 4G VoLTE, WiFi 802.11 ac, GPS, USB Type-C port and 3.5mm headphone jack. It is powered by a 3,060mAh battery that supports fast charging and the phone runs on stock Android 8.0 Oreo.